4 In. 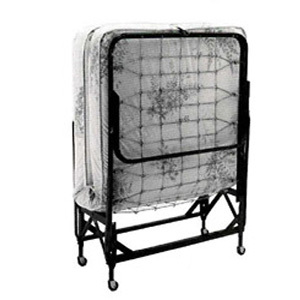 Foam Mattress; swivel casters; link or poly support deck; and automatic leg opening.Available in 30,39 and 48 Wide. The length is approx. 72. * Helically suspended poly fabric deck. * Sturdy, mobile, and extremely durable. * Double braced angle steel frame provides strong, durable support for years of use. * Fast Setup - Automatic leg lowers safely into position; fold in for storage. * 1-5/8 Swivel casters for easy movement. The Weight Capacity of the Bed is 275 lbs.